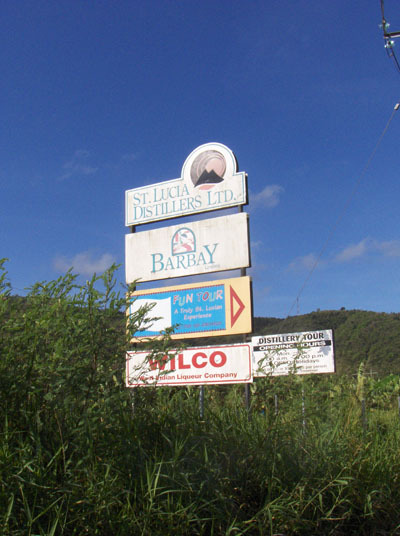 My first visit to St Lucia Distillers Ltd gave me a unique insight into a Caribbean distillery that was coping with an island economy that had changed from one based on sugar cane and sugar production to a more sustainable economy based on a combination of agriculture, manufacturing and tourism. Twenty years later, I'm proud to have been given the opportunity to select 18 barrels of their Vendome Pot Still Rum as part of the first bottling of my Ministry of Rum Collection. Click on a rum below to see what went into bringing these bottles of authentic rum to you. The video above will be updated, please bookmark this page and not the video as it may not be available in the future.